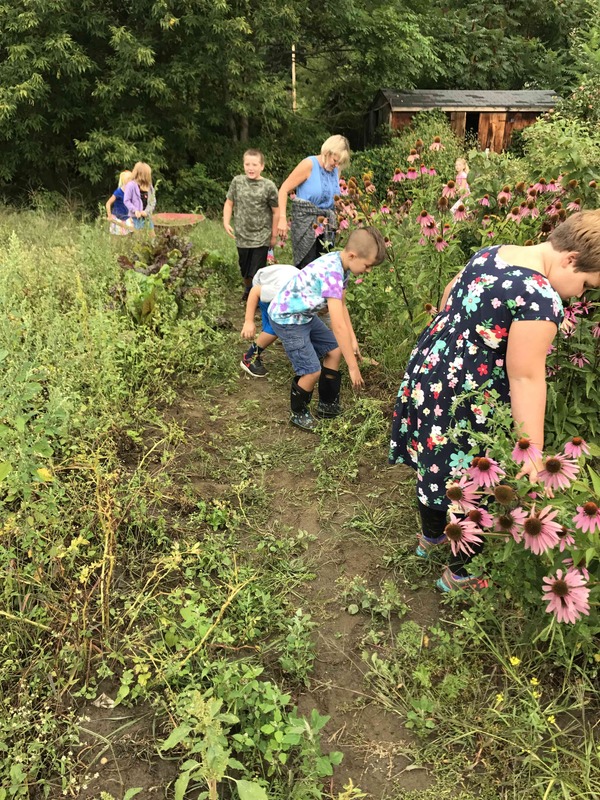 Here is our garden in all its splendor as the children viewed it when they came to visit during the first weeks of school. The rainy summer brought plenty of weeds. 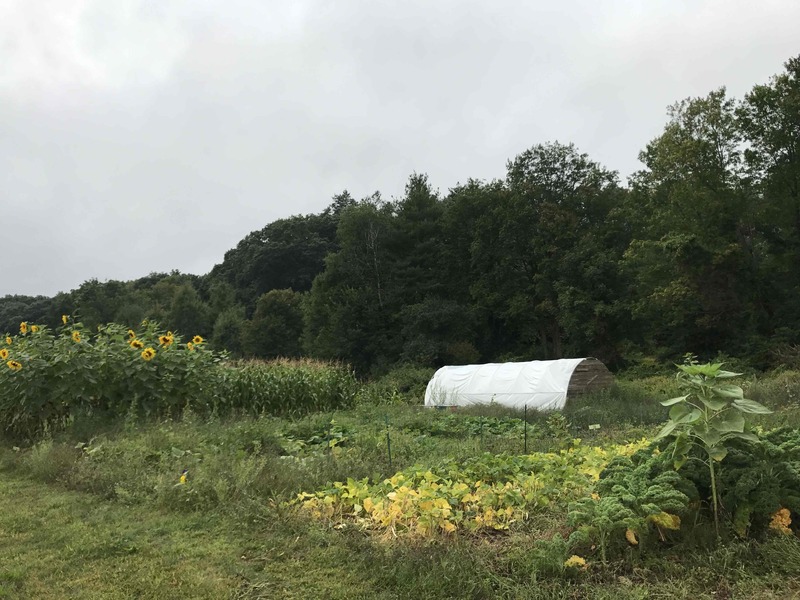 We had to make do with less help maintaining it than we’ve had in the past, but you can see a number of enduring crops decorating the landscape. 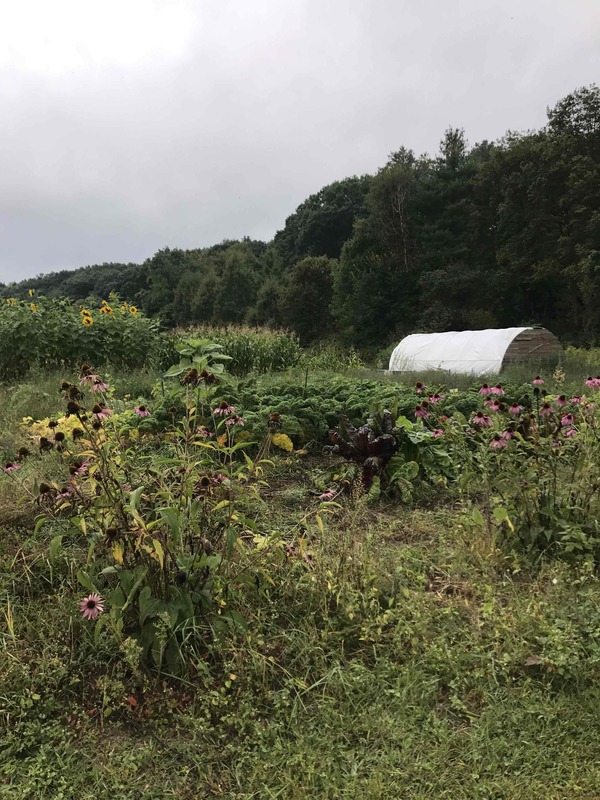 In the foreground are kale and cucumbers. In the back you can see our popcorn and the sunflower house. 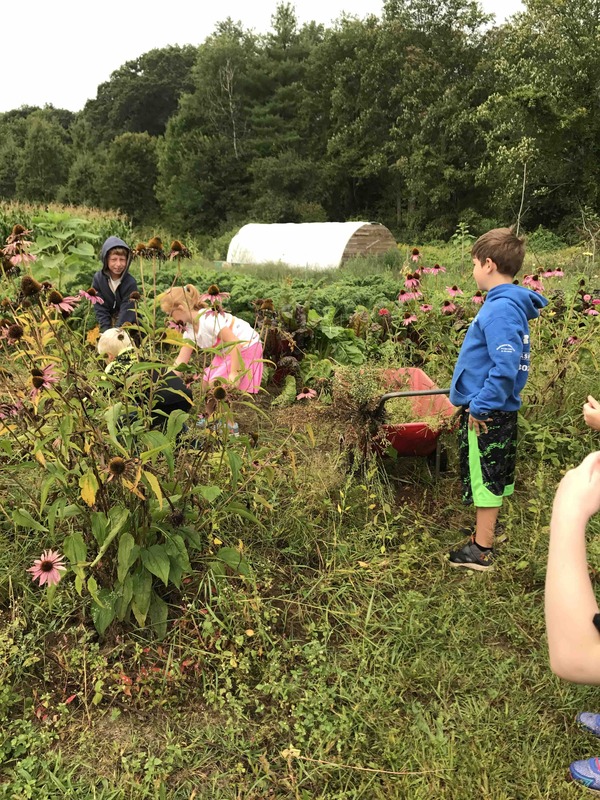 One hundred children came out on Tuesday with their teachers and Librarian, Mandy Walsh, to harvest tomatoes for pizza at lunch, dig potatoes for future lunches and to weed, helping our growing produce get the sun it needs. Thanks to Harley Sterling, our school Chef, for imaginatively using all produce provided by our garden.